an advertisement for the C.B.C. Often these aspects have been left out of Dr Marie Stopes biography, or downplayed, or excused and the focus is on the sexual revolution instead. …the full meaning of the word “Control” and its value to the Race. As was pointed out at the great Queen’s Hall Meeting, from which the Society sprang, Control should not merely be repressive, and it is just as much the aim of Constructive Birth Control to secure conception to those married people who are healthy, childless, and desire children as it is to furnish security from conception to those who are racially diseased, already overburdened with children or in any specific way unfitted for parenthood. The Society desires to bring before the Community the fruitful suggestion that the time has now arrived when the wasteful and haphazard production of babies in excessive numbers by the unhealthy and the poverty stricken can not only be quelled at its source, but definite constructive hope is offered to the homes, alas! too often empty, in which sturdy citizens of high character may be reared. Note that “racially diseased” would have included those with tuberculosis (and other infectious conditions) thought at the time to be caused by a person’s defective heredity. When Dr Sutherland found that TB was primarily caused by infection, not heredity, mainstream eugenists ignored him and instead pondered the problem in their midst: what to do about the ever-increasing numbers of “wastrels” and “defectives” in their midst. Their solutions included contraception, compulsorily sterilisation, infanticide and the lethal chamber. Patrick Hastings, K.C. : Is the reduction in the birth rate any part at all of your campaign? Marie Stopes: Not reduction in the total birth rate, but reduction of the birth rate at the wrong part and increase of the birth rate at the right end of the social scale. Patrick Hastings, K.C. : I may summarise that by saying the birth of children at the best period of their mother’s life for the children and the mother. The Lord Chief Justice: That previous answer seemed to indicate something different from that. 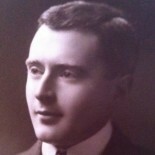 Ernst Charles, K.C. : I thought so. Patrick Hastings, K.C. : I am sorry: it may be my fault that I am trying to keep your answers as short as possible. Would you, in your own words, describe to us in a few sentences what are the objects and purposes of your Society? Marie Stopes: The object of the Society is, if possible, to counteract the steady evil which has been growing for a good many years of the reduction of the birth rate just on the part of the thrifty, wise, well-contented, and generally sound members of our community, and the reckless breeding from the C.3 end, and the semi-feebleminded, the careless, who are proportionately increasing in our community because of the slowing of the birth rate at the other end of the social scale. Statistics show that every year the birth rate from the worst end of our community is increasing in proportion to the birth rate at the better end, and it was in order to try to right that grave social danger that I embarked upon this work. [Emphasis added]. Considerable effort goes into creating a logo and an advertisement. Stopes was under oath when she spoke to the Court. As such, her messages cannot be said to be “inadvertent” or taken out of context. If it happened today, would you support it? If children are to be denied to the poor as a privilege of the rich, then it would be easy to exploit the women of the poorer classes. If women have no young children why should they be exempt from the economic pressure applied to men? The English poor have already lost even the meaning of the word “property,” and if the birth controllers had their way the meaning of the word “home” would soon follow. The aim of birth control is generally masked by falsehood, but the urging of this policy on the poor points unmistakenly to the Servile State. The “servile state” came from Hilaire Belloc’s book of the same name. It was a slave society in which the poor had no societal role other than as workers. Shortly after the book was printed, Sutherland received a writ for libel from the President of the C.B.C., Marie Stopes. You can read about their bitter legal battle here. From John Bull, 2nd February 1924, page 13. We sorely need this policy today but globally. The poor, and uneducated, especially in the third world, are the main factor causing the destruction of this earth. Love this article. Wish we could put this into practice. A work in progress was Stopes’ campaign to compulsorily sterilise: “parasites”; “hopelessly bad cases, bad through inherent disease, or drunkenness or character”; “wastrels, the diseased…the miserable [and] the criminal”; and the “degenerate, feeble minded and unbalanced” (See Chapter 20 of “Radiant Motherhood”). Let’s take one of these categories: the wastrels. How is “wastrel” defined? What criteria are applied? Using what process? (How is the decision made? Who decides?) How will you ensure that people will comply with your policy? If they refuse to, then what? The solution to poverty and ignorance is not to eliminate the poor and uneducated. The solution is to improve their lot so that they are well-off and knowledgeable. You can’t end poverty by killing off the poor. That was Hitler’s solution, to purge society of those he considered undesirable by simply killing them all. That’s merely an exercise in raw power, the richer and stronger stamping out of existence the poorer and weaker. That’s not civilized. My article “Nature’s Lethal Chamber” (also on this website) explains how tuberculosis was used as the means to purge British society of people considered undesirable in the early twentieth century (see: https://hallidaysutherland.com/2017/02/01/natures-lethal-chamber/). Update as at 5 December 2018: Linda (lrsenne07) never replied! So we are left with a thought bubble and a wide definition of the group to be eliminated…what could possibly go wrong? This entry was posted on 11 March 2018 by markhsutherland in Eugenics, Lethal chamber, Marie Stopes biography, Stopes v Sutherland, Tuberculosis.